Ken Schwaber (born 1945 in Wheaton, Illinois) is a software developer, product manager and industry consultant. Ken worked with Jeff Sutherland to formulate the initial versions of the Scrum framework and to present Scrum as a formal process at OOPSLA'95. They have extended and enhanced Scrum at many software companies and IT organizations. Schwaber and Sutherland are two of the 17 initial signatories of the Agile Manifesto. They are co-authors of the definitive Scrum Guide, which is made available for free by Scrum.org. Today Schwaber runs Scrum.org, which provides Scrum resources, training, assessments, and certifications for Scrum Masters, Scrum Developers, Scrum Product Owners, and organizations using Scrum. Schwaber is one of the leaders of the agile software development movement. He is a founder of the Agile Alliance, and he is responsible for founding the Scrum Alliance and creating the Certified Scrum Master programs and its derivatives. 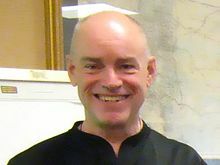 Ken resigned from the Scrum Alliance in the fall of 2009 after a deep disagreement with the board regarding assessments, certification, and a developer program. He subsequently founded Scrum.org. At Scrum.org, he led the development of new courseware, assessments, and partnerships to improve the quality and effectiveness of Scrum. He has recently published and updated Scrum with Jeff Sutherland, and wrote "Software in Thirty Days" also with Sutherland. He and Jeff continue to manage and enhance Scrum in the Scrum Guide at www.scrumguides.org. Schwaber, Ken (February 1, 2004). Agile Project Management with Scrum. Microsoft Press. ISBN 978-0-7356-1993-7. Schwaber, Ken; Beedle, Mike (February 18, 2002). Agile Software Development with Scrum. Prentice Hall. ISBN 978-0-13-067634-4. Schwaber, Ken (2007). The Enterprise and Scrum. Microsoft Press. ISBN 978-0-7356-2337-8. Schwaber, Ken; Sutherland, Jeff (2012). Software in 30 Days: How Agile Managers Beat the Odds, Delight Their Customers, And Leave Competitors In the Dust. Wiley. ISBN 978-1118206669. In 1967, Ken Schwaber graduated from the US Merchant Marine Academy as a deck officer. He married Christina Sarstedt in 1976. Together, they have lived in the Boston area for the last 30 years. Schwaber has two daughters, Carey and Valerie, who have blessed Ken and Chris with three grandchildren. ^ Sutherland, Jeff; Schwaber, Ken (1995). Business object design and implementation: OOPSLA '95 Workshop Proceedings. The University of Michigan. p. 118. ISBN 3-540-76096-2. This page was last edited on 2 January 2019, at 00:51 (UTC).